With “Resolution” done and dusted, we are officially all out of Doctor Who on television until 2020. Whovians are pretty used to waiting huge lengths of time to see new episodes—like, say, that 16-year gap after the show was cancelled—but if you’re aching to get something Who in your brain, the perfect opportunity lies ahead of you: audio dramas. See, 2019 isn’t just the Year of No Season 12, it’s actually the 20th anniversary of Big Finish’s line of Doctor Who audio dramas. After kicking off on July 19, 1999 with “The Sirens of Time”—a story that bombastically crossed over the Fifth, Sixth, and Seventh Doctors (and was...mostly kind of only decent, but hey, it was a start! 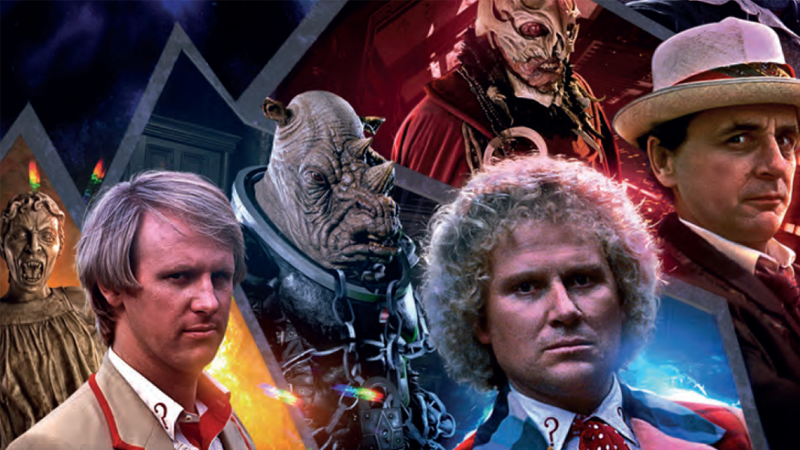 )—Big Finish has spent two decades expanding across all of Time and Space with a truly remarkable amount of Doctor Who adventures, covering different Doctors, companions, and spin-offs. It’s led to a true wealth of opportunities for fans who’ve never dipped into the world of audio dramas, regardless of what their favourite kind of Doctor Who is. Hell, what other franchise in the world outside of maybe Star Wars can say it took one-off guest characters and gave them their own spinoff series 33 years after their one and only story aired on TV? Big Finish’s love for as many corners of Doctor Who as it can get its hands on runs deep. But what makes 2019 the perfect time outside of the fact it’s a special anniversary? 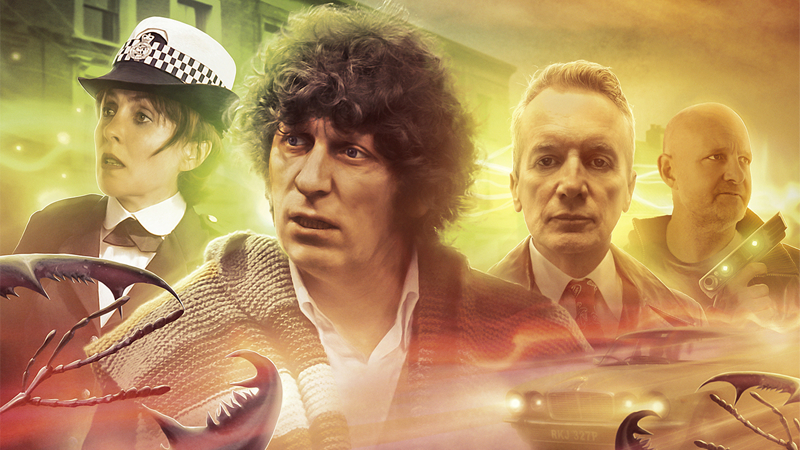 We’ve recommended Big Finish multiple times in the past, and a lot of the reasons why are still relevant now, simply because those audio dramas still exist. And it’s fun to recommend it leading up to the anniversary because the company is doing a ton of celebratory stories for it. They include “The Legacy of Time,” an expansive six-part adventure that unites six incarnations of the Doctor with a whole host of characters from across both the classic and modern eras of the show. But it’s also just that, especially in the last few years or so, Big Finish’s Doctor Who offerings have expanded and exploded in a way that makes them even more relevant to an even wider contingent of Doctor Who fans. If your Doctor Who tastes run toward the more classic end of the spectrum, all of Big Finish’s past Doctor Who adventures with the original Doctors—from tales told from alternate perspectives in the era of the first and second Doctors; new Third Doctor stories with Tim Treloar standing in for the departed Jon Pertwee; and all the way to the fifth, sixth, and seventh Doctors returning for oodles of new stories with their original actors—exist and are still being built on today with fantastic new releases. Plus, the chain is finally complete now that the legendary fourth Doctor himself, Tom Baker (who had declined to reprise his role multiple times in the last 20 years), has signed on in recent years, with seven series of new adventures (and counting) under his belt since 2012. And then there’s Paul McGann’s eighth Doctor, who’s practically defined by his life in the Big Finish dramas rather than his 1996 TV movie. The Eighth Doctor continues to shine as an excellent balance between the classic and modern styles of Doctor Who storytelling, and things have only gotten more interesting on that front with a series of stories set in the infamous Time War from modern Doctor Who, examining the adventures that took place before the Doctor regenerated into his “War Doctor” incarnation. On top of that, with one of his best companions—the lovable Lucie Miller, played by Sheridan Smith—making a return this year, McGann’s Doctor is primed for one of his best years of stories in a while. But the area Big Finish has expanded the most in recent years has been in its embrace of modern Doctor Who. For a good few years the revived version of the show was strictly off-limits to the company, but all that changed in 2015. A new UNIT series starring Jemma Redgrave as Kate Lethbridge-Stewart (and eventually reuniting her with Ingrid Oliver as the charming super scientist and fangirl Osgood) kicked off—and since then, Big Finish’s modern Who connections have only grown and grown. There’s a whole spinoff series of Torchwood dramas, covering not just multiple incarnations of the John Barrowman-led spinoff but even providing an official continuation of where the series left off after it came to an end on TV with (the very bad) Torchwood: Miracle Day. There are adventures with characters like the Paternoster Gang and Jenny, the Doctor’s daughter. There are even crossovers that could never be told on TV, like classic Doctors coming up against monsters made for modern Doctor Who, or Derek Jacobi and John Hurt returning as the Time War-era incarnations of the Master and the Doctor to tell stories around the infamously secretive conflict that formed a major part of modern Who’s backstory. But perhaps the crown jewel of this new era of modern Who audio dramas has been the Tenth Doctor Adventures, a series that has seen a modern incarnation of the Doctor—in this case, David Tennant—return to the role for more adventures. There have been stories with the Tenth Doctor and Donna Noble, filling in the gaps where the TV series couldn’t. 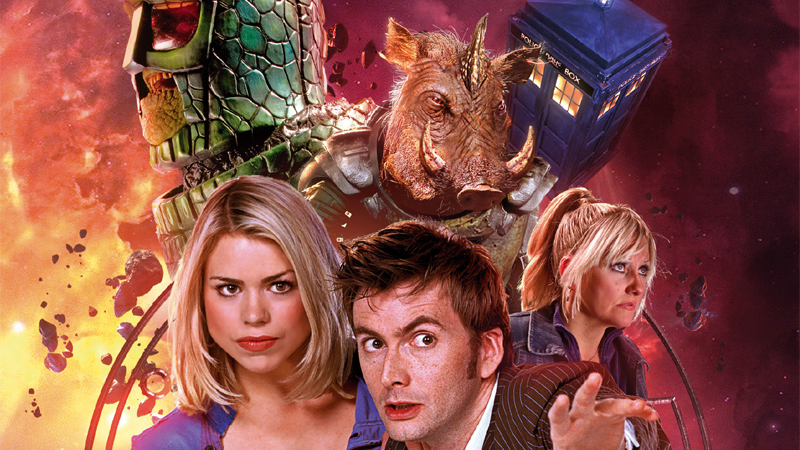 There’s even been a reunion of one of the beloved Doctor/Companion combos in the show’s entire history—the Tenth Doctor and Rose Tyler, the ship that launched a thousand Tumblrs—with Billie Piper returning once more as everyone’s favourite ex-shop-assistant-turned-defender-of-the-universe. We might not have equivalent additions for the Ninth, Eleventh, and Twelfth Doctors just yet, but now that Big Finish has come so far with the modern era of the show, those feel like distant eventualities instead of downright impossibilities at this point. Now more than ever there is a wider range of Doctor Who stories, even if the show itself is taking a bit of a break from its home on TV. Regardless of what kind of Who you like, Big Finish is home to some of the finest Doctor Who around, even if it’s in a format you may not particularly be familiar with. So while we wait for Jodie Whittaker and her TARDIS fam to return, you really have no excuse not to dive in. All of time and space, everything that ever happened or ever will...where do you want to start listening?